We talk so much about solutions to the technician shortage. Here is an episode that will get you to realize that there is so much more than filling the seats in trade schools. It is about what happens when we hire a new tech. The trend is to grow our own technician, but can we outline a career path for our new recruit? You need to be involved in creating a ‘Road to Great Technicians. 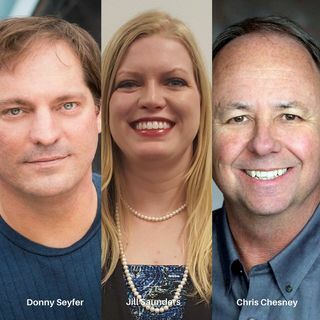 Joining me in studio at Vision 2018 is Donny Seyfer Executive Officer of NASTF, ... See More Chris Chesney, Sr. Director of Customer Training at Car Quest Technical Institute and Jill Saunders, Curriculum Developer at Toyota Motor Sales, North America. This straight up discussion on creating a career path for all entry-level technicians through an apprentice and mentoring program outlines WHY this is so important. Do we want the government someday to create a program of standards and competence or should we as an industry start today to build those standards? Just putting an entry-level tech in the lube bay without a career path is part of the big challenges we have as an industry. Without a defined career path it becomes a brain drain of young talent.